Zimbra : Blog All Things Zimbra. Celebrate! It’s Community Manager Appreciation Day! 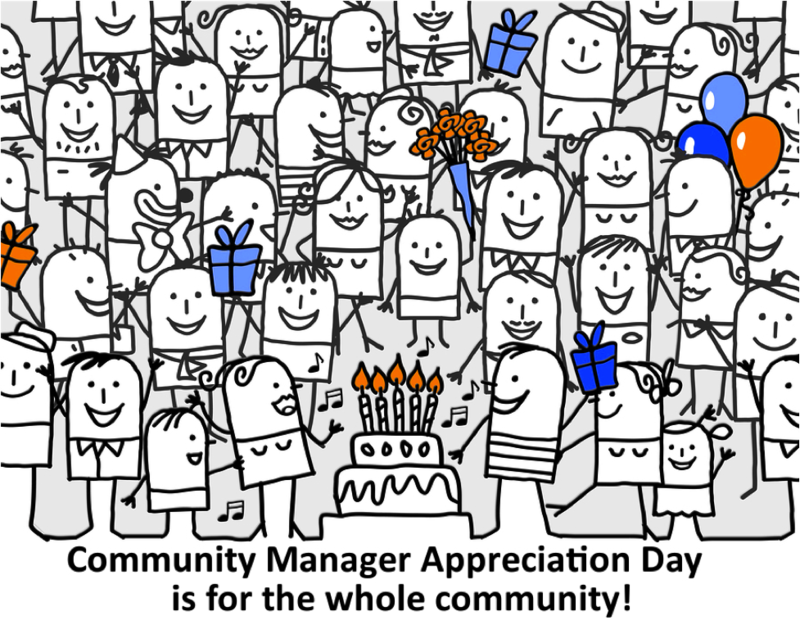 Straight out of the mouths of Wikipedians: Community Manager Appreciation Day takes place every 4th Monday of January as a way to recognize and celebrate the efforts of community managers around the world using social media and other tools to improve customer experiences. Back in good old 2010, the thoughtful and astute Jeremiah Owyang, of social business industry analyst fame, founded the special day of note. If you are not in community management or around it, you might think it is just one of the many “International [insert topic] Day” days. It’s not. CMAD was created to not only bring attention to the role of community managers, but also to help new community managers spread their wings, meet community management peers and learn more about the practice of community management. Are you familiar with what a community manager does and why? When an organization, be it a business, non-profit or association, starts to grow they want to take their evolving community to the next level by using organized online spaces where community members can feel safe engaging with each other. This might be in social networks where the space is free, but owned by another organization (i.e., Facebook, Twitter, LinkedIn, etc.) Or some organizations opt for a space like this one, our Zimbra community, where they own the community space and can customize the experience for their community via the software platform. The community manager is in all of these spaces, watching, reading, interacting and guiding conversations for positive results. They make sure the community is always on course toward your goal – your community’s ultimate purpose. It requires a lot of social and psychological skills, as well as the to ability collect and read meaningful metrics and create engaging content that has value for the community. Your community manager remembers all the names, and advocates for your community, audience and even fans. Of course in the GRAND scheme of things, a community manager’s job is no more important than any other job. But, when it comes to your organization’s community, your brand, your customer and partner relations – your community manager has the strategy and skills to ensure an effective, if not smooth, two-way communication. A lot of responsibility rests on their shoulders. On CMAD, the day does not necessitate you buy gifts for your community manager – but it never hurts! Really, even the simplest note can go a long way to help a person who is in the trenches protecting you and your community every day, all day. Just providing some recognition and continuing cooperation with your community manager will not only help him or her, but your organization too. Honestly, one of the best things you can do is to just talk to your community manager. Ask him or her about the job and what it entails. You may find that you want to play a greater part in the community and your community manager can help guide you. Let’s celebrate the day together! Participate in the day! There are numerous happenings around the web you can jump into. I recommend tuning into the all-day Google hangout hosted by the fine folks at My Community Manager. Read Jeremiah’s #CMAD blog post. For a little more background, check out this hangout with Jeremiah and community managers from last year. Be on the lookout for the hashtag #CMAD on Twitter and other social channels to see what people are saying. Brag! Tell us about yourself or your community manager below or in our community forums. What are your triumphs? What are your challenges? Don’t let your community education end in just one day. Join me in the coming weeks as I post more about what a community is, why it’s important and how you can create and manage your own space. Happy Community Manager Appreciation Day to all! Power Tip Tuesday – Open it in a separate window! Power Tip Tuesday – Spark Joy! Tidy Your inbox with Activity Stream! 3 Responses to Celebrate! It’s Community Manager Appreciation Day! Hi Jenn, happy Community Manager Appreciation Day! I will wait for news about comunity soon. 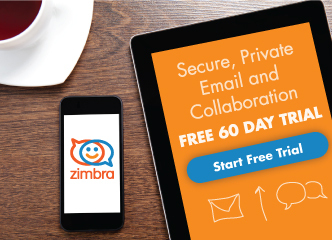 Thank you for subscribing to the Zimbra Newsletter. To ensure future delivery of Zimbra Newsletters to your inbox, please add zimbra-team@zimbra.com to your address book or safe senders list. In the meantime, you can view the archived ZImbra Newsletters here.